There must be a hormone that makes newborn babies appear beautiful to their parents, ‘cos there’s no denying it; newborn babies are ugly! Give credit to anyone who visits a neonatal ward and resists the gag reflex or the impulse to run, but still manages to compliment the unfortunate parents. We were lucky of course because our son was indeed gorgeous from the moment he came into this world. So why, I ask, did the nurse slap me? As they grow and the creases and wrinkles start to flatten out, it is possible,… just… to appreciate the beauty in other peoples’ children, but imagine how socially awkward it must be for new mothers of members of the Gruiformes family whose offspring, even once they have matured slightly, are surely the ugliest of all. 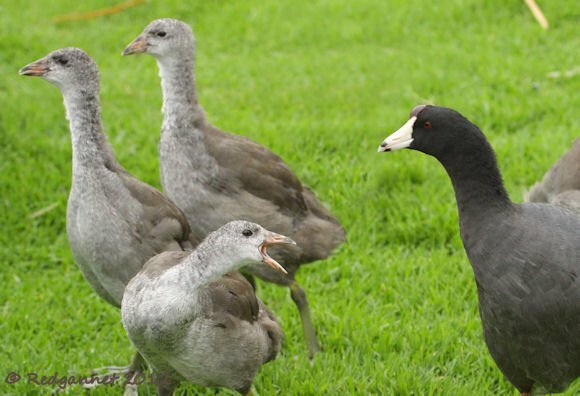 Here are a few examples to show that it is a common problem for Coots and damp-hens across the globe. 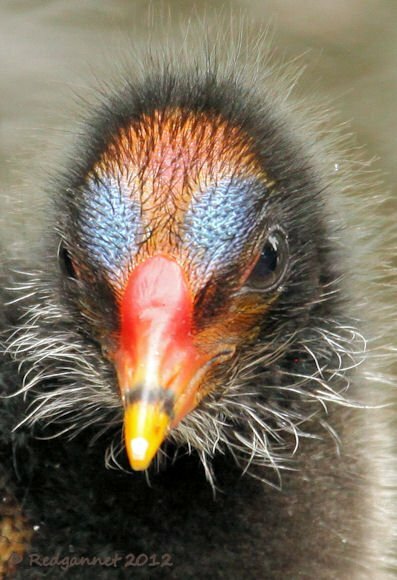 Above is a close-up of a Dusky Moorhen from Sydney, Australia. Its parents lavish love and attention upon it, when in truth they should keep it under a big leaf to spare the embarrassment of passersby. 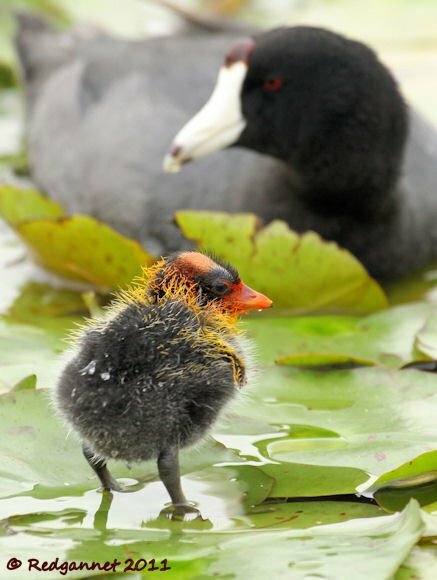 In the New World, Mexico to be precise, American Coots must have a special gland to mainline the baby-love hormone into their system. In India and Southeast Asia, White-breasted Waterhens produce gangly, vacant-eyed horrors that would do well as a prop in any of the darker Harry Potter films. 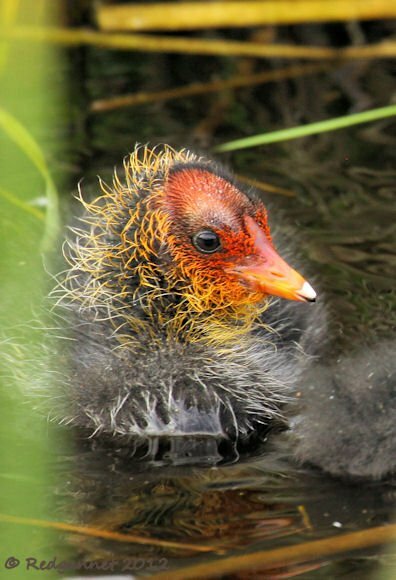 Home for me is England where we have our share of unsightly chicks and those of our own version of the Coot, Fulica atra, are as revolting as anything that one is likely to come across anywhere in the world. Even after they have passed the chick stage, they still present a hideous countenance as juveniles, all legs and attitude. 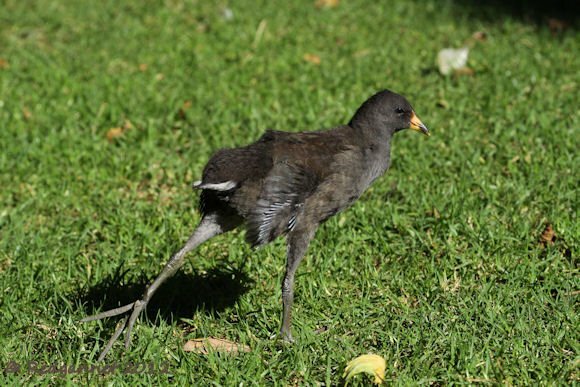 This is a Dusky Moorhen juvenile. Unless your brain has tried to blot out the memory, you may remember him from a moment ago, just a bit younger. This is a perfect example that surely goes to show that limited breeding programmes should be imposed as chicks from second broods have been proven to be even more repulsive than the first. And don’t imagine that the ugly duckling story is ever likely to apply to any of these birds. They is ugly and they gonna stay ugly. 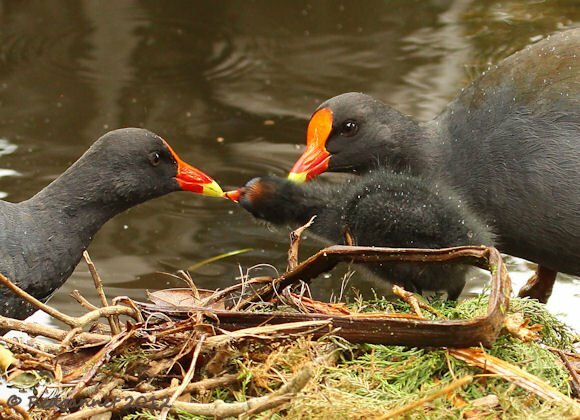 These American Coots have reached the juvenile stage against all reasonable sensibilities and even after they get adult pretty they will still retain that adolescent nastiness beneath. It is a universally acknowledged truth that anything that comes from Africa, anything, has an intrinsic beauty that transcends mere superficial appearance. This holds for all creatures except of course the young of the Red-knobbed Coot, Fulica cristata, which just goes to show that bad blood runs deep. But flying in the face of all that is reasonably acceptable, the parent birds really dote on their hideous offspring. Ain’t hormones great? I must have the hormone too! Beautiful chicks and cool sampling of such a widespread family. 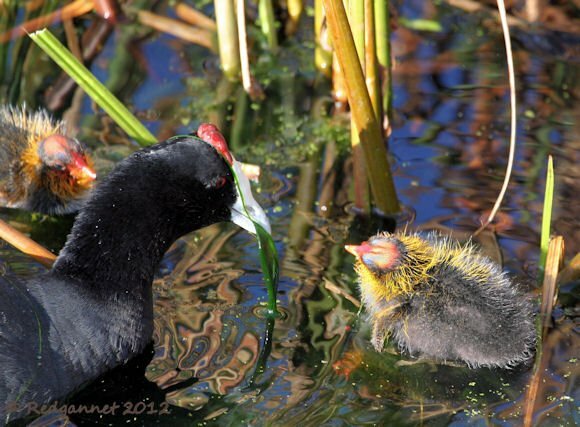 I saw that moorhens thrash their chicks quite awfully when its time to fledge. Apparently having to feed the chicks a single insect at a time takes its toll on the parents. 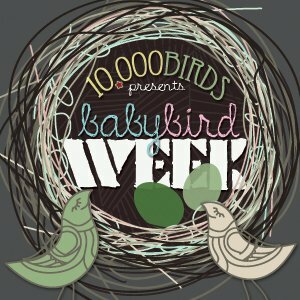 This baby bird looks like a dinosaur. It gives one a idea of what baby dinosaurs must have looked like. This is hilarious! 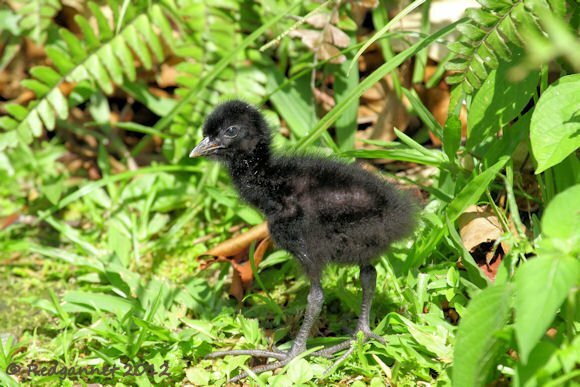 I always thought baby coots were kind of cute, but I was clearly seeing them poorly. Thankfully, these tremendous photos clarify the situation marvelously. Did humans kill off one of the last dinosaurs, er, giant birds?